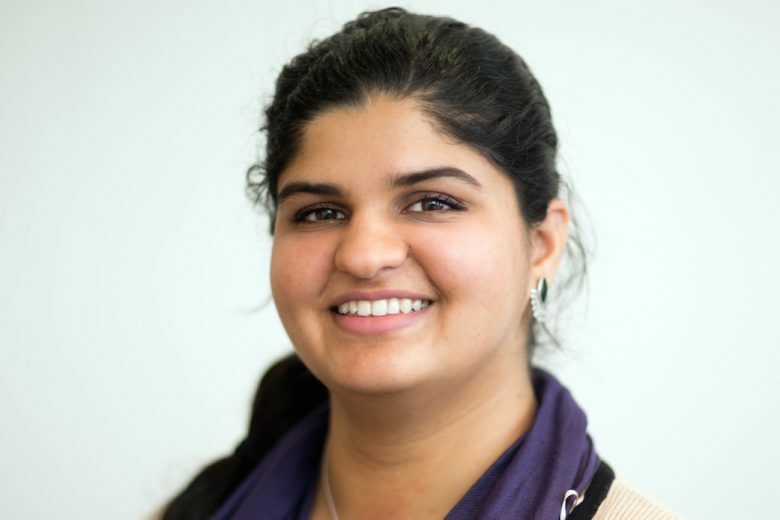 When journalist Chayya Syal was at university she started a blog, Avid Scribbler, writing about her experiences as a South Asian woman in a post 9/11 world. Find out how Chayya’s blog has opened doors for her and got her listed on Forbes 30 under 30. I am a broadcast journalist. My background is originally in digital content and print. I have been a journalist for the last seven years. Where did the idea for your blog come from? I’ve always had a passion for writing. As a child I was always writing stories, reading books and painting. I wanted to become a writer, but, was told that it wasn’t a profitable job. At one point I wanted to become Prime Minister but I quickly changed my mind! I was adamant on doing a career that would let me write. So I decided to see what it would be like to work in a newsroom as a journalist. I loved it and even though it has come with its fair share of challenges, I haven’t looked back since. I started up a blog called Avid Scribbler when I was at university. I first wrote about things like homesickness, but, my attention quickly turned to how South Asian women today are experiencing life in a post 9/11 world where we experience levels of racism and misogyny. It quickly garnered a lot of attention online and soon I was being featured on radio phone in shows as a contributor, being interviewed by other bloggers and online magazines, taking part in panel discussions and workshops about ethnic identity and writing. How did you move from idea to actual blog? I began the blog as a way for me to write about things I was interested in, to express myself at the time and further develop my style of writing. For me, it was always a way to balance out the heaviness of my degree and a space for me to process any social observations I’d had. Anyone really. Most of my readers are of South Asian origin, but, I’ve always been surprised at who reads my blog and gets in touch with me about their thoughts and feelings. It’s such a privilege to be able to see that people feel comfortable to open up and share their stories, feel less alone and reassured that there are others who probably think and feel about life in similar ways to them. Social media. I’m part of the generation who’s grown up with developing smartphone technology, the Internet and a shrinking world. I mainly used Twitter to get my blog out there and then went onto Facebook. I’ve found both to be equally beneficial and powerful. Twitter by far. It’s immediate, it’s fast and often is an indication of how people behave online- not in what type of content they post, but, in terms of what sort of content interests them, what they are looking at and what times they are online. There have been lots of obstacles and even today I still have challenges. I couldn’t ever just pinpoint one challenge, because, much of what I’ve been through has been intrinsically linked to each other. I’d say that realising how much inner strength I have, my passion for writing, having faith in myself when everyone felt like it was falling apart and building up my self esteem and my self confidence have probably been the biggest challenges to overcome and learn to manage in a way that helps me move forward with my ambitions. Being listed on Forbes 30 under 30 2017 in the Media category. When I was 18 I had a crazy thought and thought to myself: wow I’d love to be on 30 under 30. I never told anyone about that thought and to be listed on there seven years later is something I am so blessed, proud and happy to be a part of. Inspiration comes in many forms. I’m inspired by my work colleagues, fellow journalists like Wolf Blitzer and my close friends. However, my biggest inspirations are my grandmother, my father, my younger brother and my mentor. Work is important to me because it’s my economic livelihood and something which forms a very very deep part of my identity, my self esteem and how I am as a person. I’m thankful to be in a job/industry that I’ve been passionate about for most of my life so far. Persevere – journalism is a difficult industry in the sense that we don’t advertise jobs like other industries do. Keep writing content (blogs count; I’m an example of that!) so you have evidence to show editors that you can write and express yourself coherently. Be yourself – this is easier said than done; it’s easy for work to consume us and for us to become identity-less. There is bravery and power in being yourself – it’s scary at first but I promise you that it will pay off. You can read Avid Scribbler here.